Our congregation depends upon the generosity of members and supporters to enable us to meet our fiscal obligations every year as well as for special events. The incredibly low dues are only possible because of that generous support. Please click the Donate button to help keep our congregation and the historic building thriving! In addition to general donations, we have some special projects. The entire Congregation Beth Israel-Orchard Street Shul community has made an historic commitment that our landmark 1924 synagogue – that is listed on the National Register of Historic Places, has been honored with a Preservation Award from the Connecticut Trust for Historic Preservation, and now again holds regular Shabbat and holiday services open to all – should be made fully accessible to all who wish to enter. In order to make this happen, we have engaged the noted architect Duo Dickinson who has drafted detailed architectural plans to overcome stairs that are a barrier to entry at every level of the synagogue, as is typical in a landmark such as ours; create a Shabbos compliant elevator; and create a handicap accessible lavatory. The Jewish Federation and Jewish Foundation of Greater New Haven have given the synagogue a $50,000 grant toward this project. 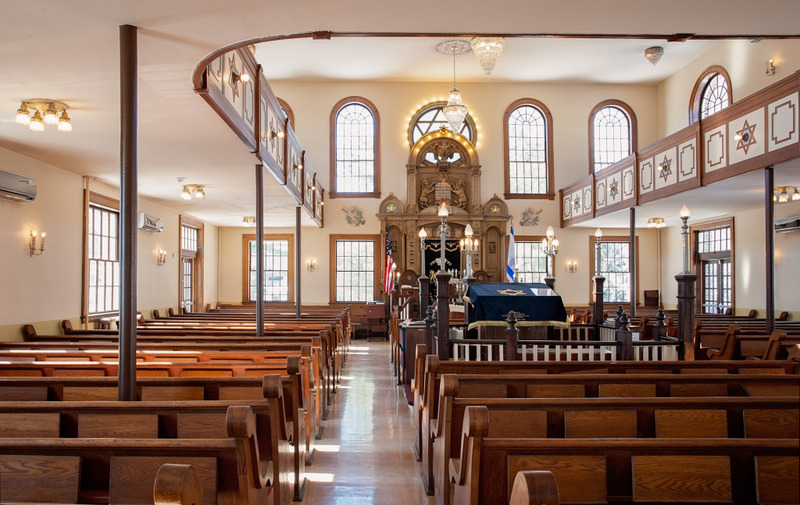 To that grant, we have added approximately $75,000 in individual and corporate philanthropy – from members and friends of the synagogue, and both Jewish and Gentile supporters who understand the importance of Orchard Street Shul as a living symbol of Jewish life. We are now seeking additional philanthropy to meet the projected $400,000 cost of this project. Congregation Beth Israel-Orchard Street Shul is a not-for-profit religious institution as recognized by the Internal Revenue Service. Your gift is tax deductible to the extent allowed by law. To help make our historic synagogue fully accessible – to the handicapped, to those who have trouble negotiating stairs, and to families with children in strollers – please click the link above and contribute directly with a restricted gift to our Accessibility Fund by Paypal; mail a check to Orchard Street Shul, 232 Orchard Street, New Haven CT 06511 labeled “Accessibility”; or contact our volunteer Accessibility Project Director, Attorney Mark Shiffrin directly at 203-907-4833. Thank you for your generous support of this vital project.